Lubes’n’Greases EMEA magazine contains news, features and informed opinion about the lubricants and greases industry in Europe, Middle East and Africa. Published monthly, it ensures subscribers stay on top of the key trends in these regions. It has a fast growing circulation and is available free of charge in print and digital formats. In addition Lubes’n’Greases EMEA magazine is distributed to delegates at all the key industry events in the region. Each year we carry out a Readex advertising effectiveness survey, a highly sought after added valued service available to quarter-page and larger display advertisers in the selected issue. In addition to display and classified advertising, you can publish stand alone custom content articles as well as custom content within Spotlight topic based features. 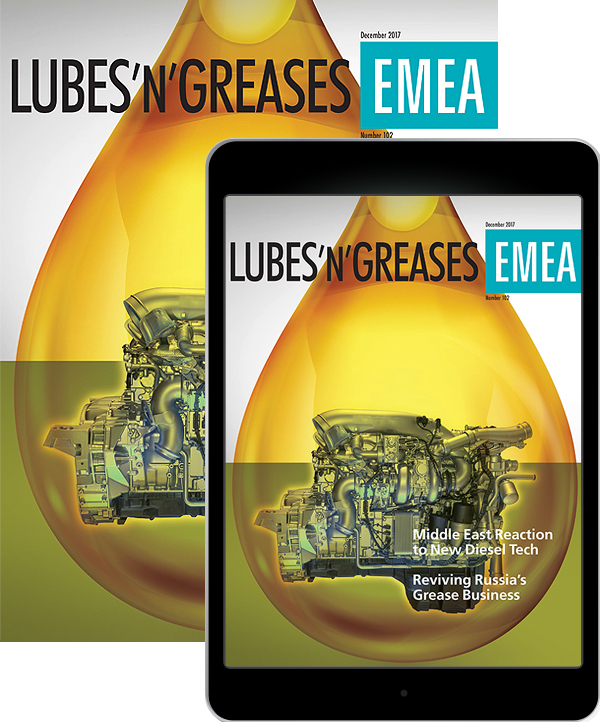 Who reads Lubes’n’Greases EMEA magazine? What do readers do with their magazine?